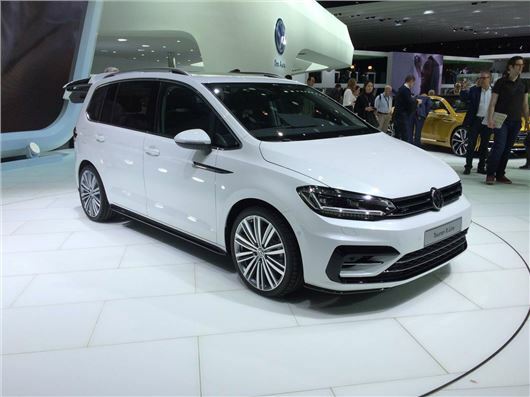 Volkswagen has launched the all-new Touran MPV at the Geneva Motor Show. The new model uses the same MQB platform as the current Golf and, despite being longer than its predecessor, it is lighter and more economical. Sales start in the autumn – expect to pay from around £20,000. Volkswagen claims the new Touran has the ‘biggest range of comfort and assistance systems in its class’, including safety gizmos like emergency brake assistance, lane keep assist and adaptive cruise control. The latest in Volkswagen’s infotainment is offered too, including a touchscreen which mirrors certain apps from the driver's phone screen while on the move. Practicality has been improved over the old Touran thanks to lighter, easier to fold rear seats. Even with five people on board the rear luggage area can swallow up 1040 litres if you load it up to the roof – but this can be expanded even further if needs be. The middle row of three seats can be electronically heated, plus there is three-zone climate control. There is also a third row of two fold-out rear seats, plus as many as 47 storage compartments in the cabin for family bits and pieces. Volkswagen claims the new Touran is up to 19 per cent more efficient than before, thanks in part to reduced drag. More important are the up-to-date engines, however, including 110PS, 150PS and 180PS petrols and 110PS, 150PS and 190PS diesels. The most efficient model is the 110PS 1.6-litre TDI, which has official economy of 57.4mpg when paired with a DSG auto gearbox.